Yes, those are diamond gems on these pens! 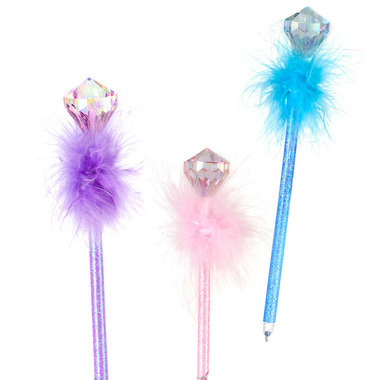 Bling out your writing with these fun and functional pens. Each styling a large diamond gem with marabou accents and glitter case! Choose from 3 colours; purple, pink or iced blue! 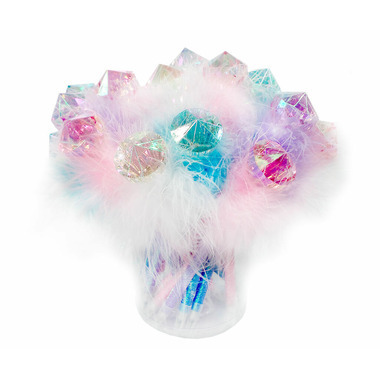 Please Note: Great Pretenders Diamond Fluffy Pens comes in 3 different colours: purple, pink or iced blue. You will receive one at random when purchased.